North Pole West exclusive. This pretty pony with it's festive country blue color will brighten up your Christmas tree, wreath or any other decor project year-round. The copper and rope accents add depth and the distressed finish lets it fit into several different decor styles: Western, Southwestern, Country, Lodge and Farmhouse just to name a few. North Pole West exclusive. 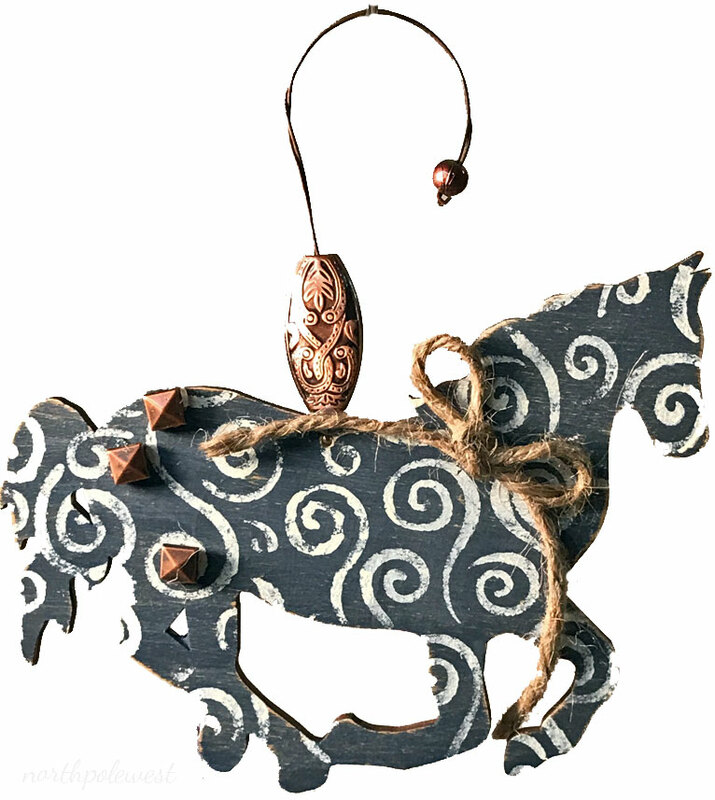 This pretty pony with it's deep country blue color will add a a bit of cowboy to your Christmas tree, wreath or any other decor project year-round. Opposite side is solid blue leaving plenty of space for name-dropping or other personalization. Fun for party and western wedding arrangements too.